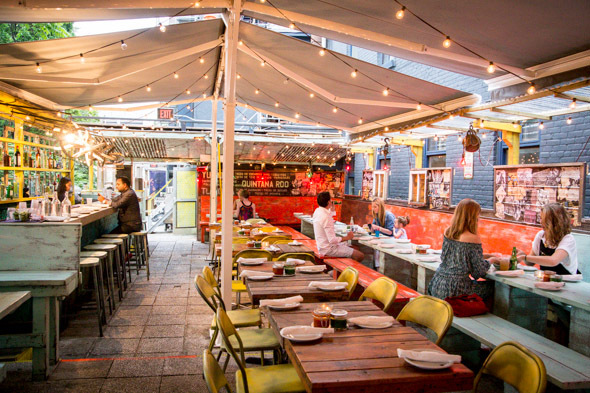 La Libre is the 90-seat backyard patio joining the Playa Cabana family of Mexican cantinas. 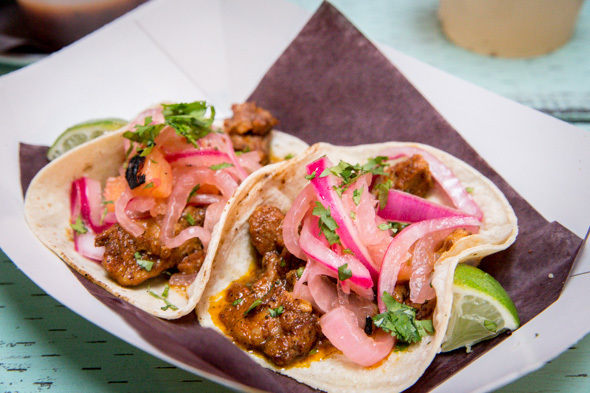 It's found behind Playa Cabana Hacienda , the two-storey taqueria on Dupont at Avenue, and while it shares an address, the outdoor-only restaurant has its own separate kitchen, bar and menu that draws on regionally specific dishes from the Yucatan in southern Mexico. 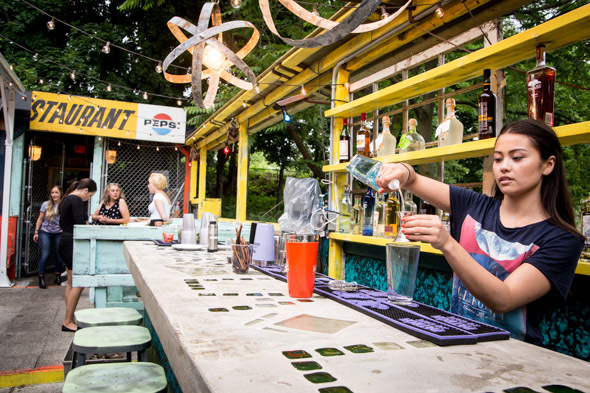 Enter through the side gate and head to the back to find a colourful patio furnished with makeshift benches and tables, spray painted chairs and string lights. A retractable cover aims to protect from the elements, though there's room to improve - I can attest from experience that sitting along the perimeter during a heavy rainstorm can result in a soggy experience. 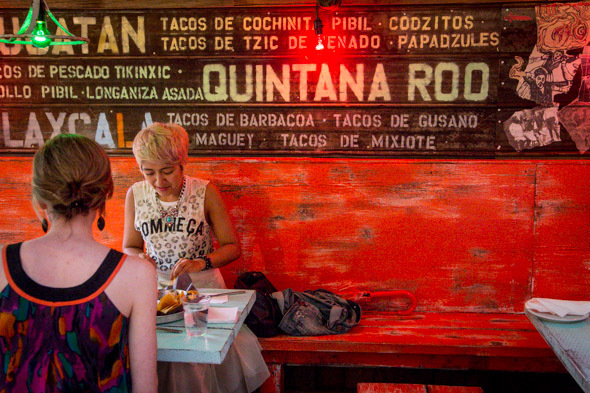 The menu focuses on bocaditos, tacos, and postres (desserts). To start there is a ceviche Yucateca ($11) made with red snapper marinated in sour orange and studded with chunks of avocado, tomato and red onion. 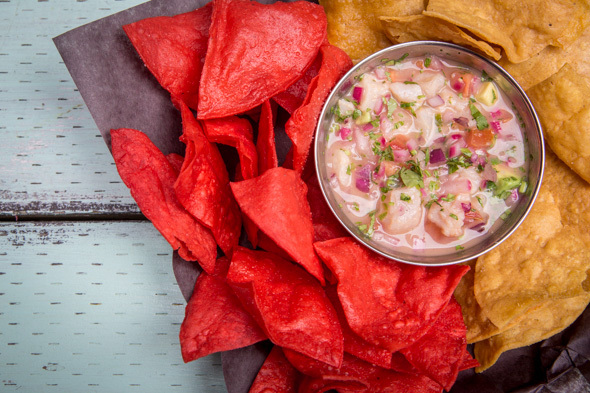 A trio of salsas on the side will keep things interesting once the freshly-fried tortilla chips are all that's left. 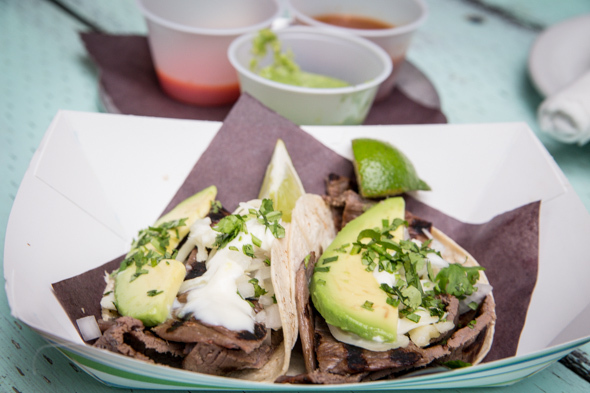 Tacos come in pairs for $10 and are offered in choices like Tacos de Cecina, featuring beef that's been thinly pounded, hang-dried then grilled before being loaded onto a tortilla with cheese, avocado and a smattering of cilantro. Other options include the Tacos de Hauchinango, red snapper gently steamed in banana leaves, and the Tacos Al Pastor ($10) topped with fiery pork and pickled onions. 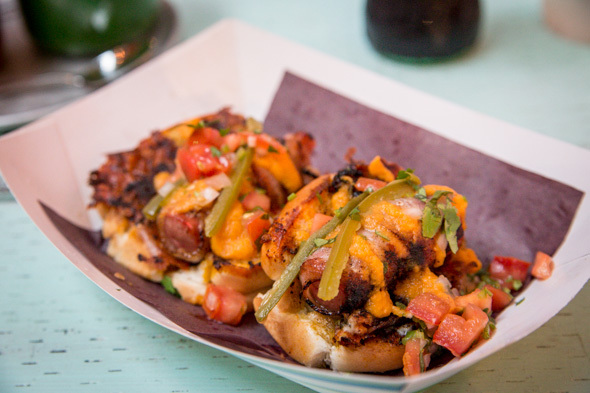 Aside from tacos, you'll find two-bite snack foods like Perros Calientes ($14), plump all-beef hot dogs wrapped in bacon and set onto mini white buns and garnished with papaya ketchup, pico de gallo, pickled jalapenos and cheese. At the bar there are Mexican beers by the bottle or can ($6-10) plus a brief wine list ($8-11/glass, $42-55/bottle). 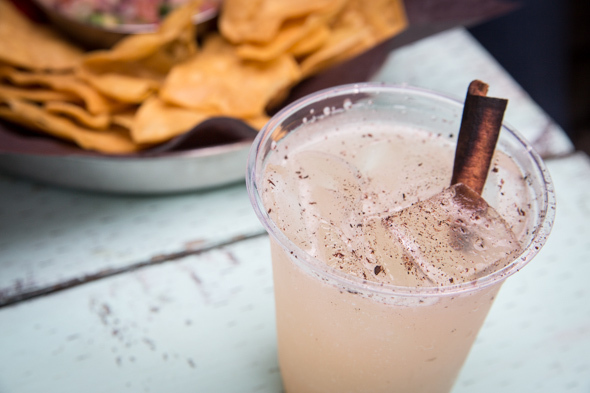 Cocktails like the Tierra Yucateca, made with Tromba tequila, Cointreau, lime and Don's secret mix (spoiler: it's grapefruit and cinnamon), are available by the glass ($11) or pitcher ($65). 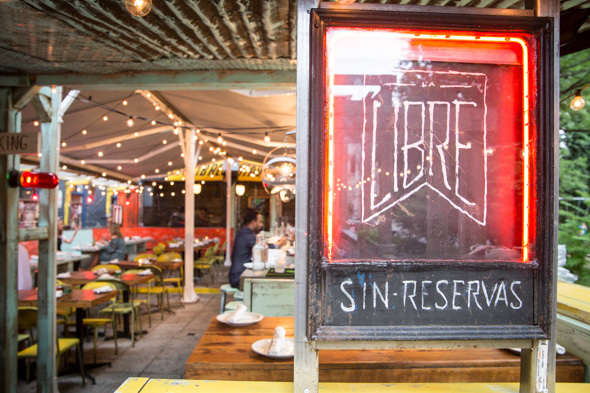 La Libre is open daily from noon until 11pm and tables are offered first-come, first-served. Last call is at 10:30pm though you can head inside to PCH if you haven't yet had your fill of tacos and tequila by then.